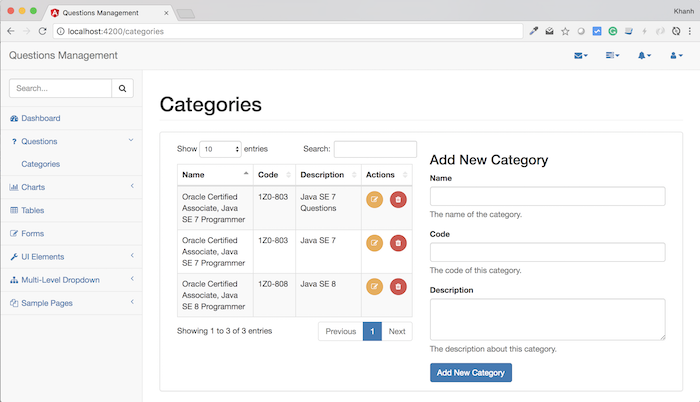 Once you’ve created the interface for the Categories section, now it’s time to call the APIs of the API Category Service to add, remove, edit, and display all categories. In this tutorial, I will guide the first step is to display all categories using Angular. 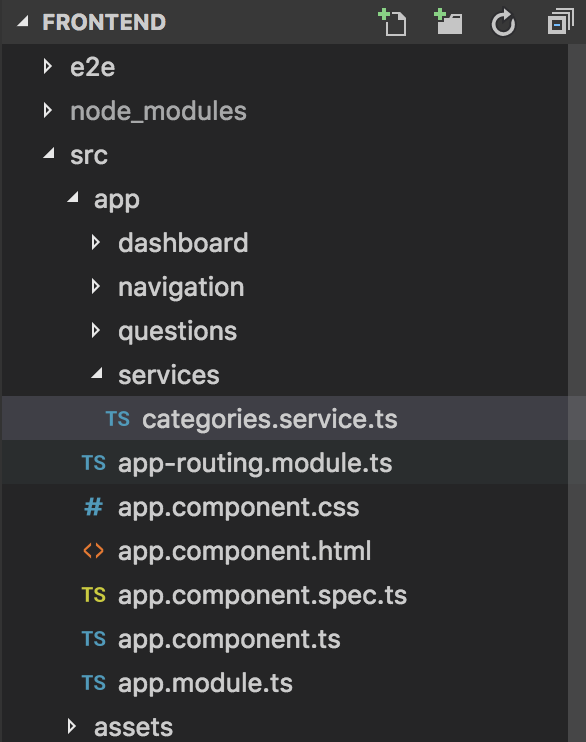 First, I will write a CategoriesService class to make the API call to retrieve all categories of the API Category Service. As you can see, here I am not declaring baseUrl of the API Category Service. This is because both the API Category Service and the Frontend of the current Question Management application will run on the local machine. This will cause a Cross-Origin Resource Sharing (CORS) vulnerability if you run our application using a Chrome browser or some other application. You can find out more about this error on the internet. With this declaration, outbound requests with URLs beginning with “/category” will be requested to http://localhost:8282, which is the address of the API Category Service. In the future, when we deploy our application to production, we need to revise this part. OK, now we will use the CategoriesService class to get all the existing categories to display on the table in the Categories interface. then, I would define a category variable to contain all categories after retrieving the API from the API Category Service. OK, everything has done, now try it. 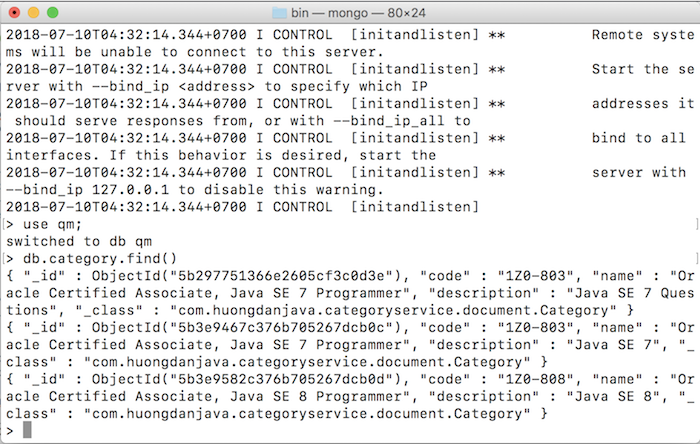 Next Post: What is constructor in Java?